The Corner Comedy Club is launching the “It’s Not Medicine. 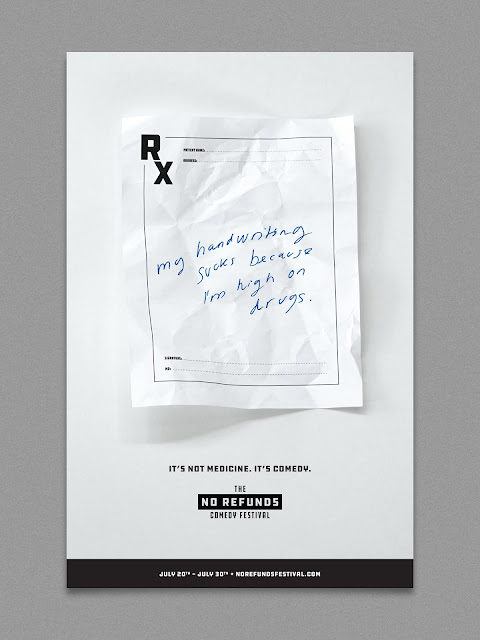 It’s Comedy.” campaign to promote The No Refunds Comedy Festival happening in Toronto July 20th – 30th. Developed by creative agency Cossette, the integrated campaign promotes the underground and independent comedy festival with an edgier style of humour than what’s typically shown at large scale comedy events. 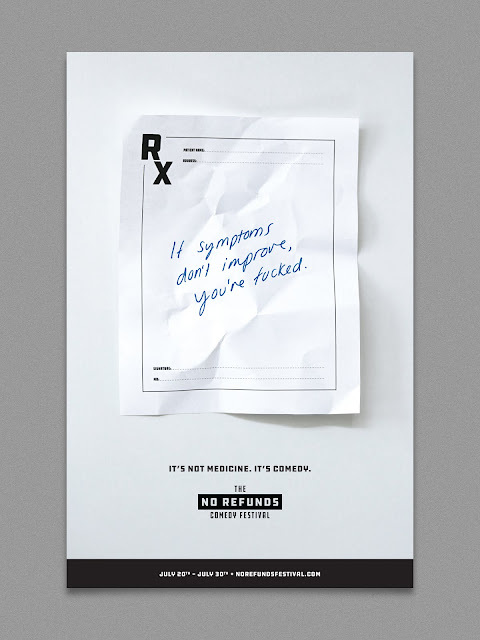 The No Refunds Comedy Festival doesn’t offer family-friendly acts like Just For Laughs and so they turned the old expression "laughter is the best medicine" on its head with "It's Not Medicine. It's Comedy." 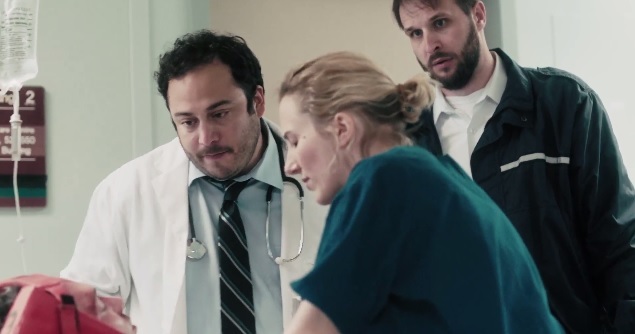 An online video, directed by Tim Godsall, opens in a hectic emergency room where a nurse and doctor urgently run through a series of jokes in order to save a critically injured patient, since laughter is the only form of medicine. From observational and standup to topical and one-liners, they desperately try every style of humour to keep the patient from flatlining. Additionally, out of home posters further promote “It’s not medicine. 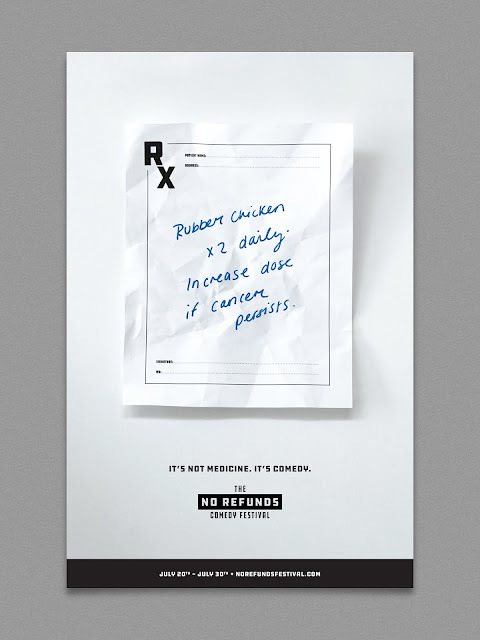 It’s Comedy.” by displaying pieces of prescription paper with handwritten jokes as a doctor’s prescribed dose of medication.